Poolwerx services pools and spas of all makes and models. Our knowledgeable technicians receive the most advanced training and continuing education. This ensures that your pool and spa equipment is properly maintained/repaired by a friendly, honest technician who has your needs and best interests at heart. Poolwerx technicians have the experience and skills necessary to diagnose and repair equipment faults. We have access to most parts required to repair any pool equipment you may have. A lot of the time we can do the repairs at your property, otherwise we may be required to conduct further inspection and repairs back at the Poolwerx shop. 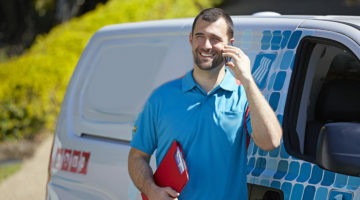 Most importantly, you will be advised of any costs involved and be kept informed along the repair process. The Poolwerx Franchise Partner will also discuss replacements if they feel the repairs are either not viable or the cost of repairs is more than replacement.